This weekend, the Human Rights Action Centre, the headquarters of Amnesty International UK, situated in London, played host to the annual nation-wide conference for the plurality of university Amnesty groups extant across the United Kingdom. As a very recent recruit of Amnesty International Oxford, I was privileged to take part in what was not only a diverse, informative and a practical series of events, but what was also the launch of their new campaign, Stop Torture. Amnesty does not go in for the shock tactics. They will not attempt to bowl you over with numbers. Instead, focus is placed on communication, on advocating dialogue – dialogue ranging from the explanatory to, yes, occasionally, the provocative. The weekend brought together elements of their Write for Rights letter writing campaign, petition signing, research, lobbying and publicising, and ultimately persuaded me that Amnesty truly has a far-reaching and potent influence across the globe. Although I should mention how well organised the conference was, from the catering, to the plethora of workshops, speakers and expertise on offer, to the evening ceilidh and limitless coffee, I would focus, just briefly, on the new campaign, Stop Torture, and some of its goals. Five countries, still plagued by horrendous and sickening violations of human rights: Nigeria, Morocco, Uzbekistan, Mexico and the Philippines. Torture is illegal. And yet, the reality in certain areas of these countries suggests this is anything but the case. This campaign is about ensuring safeguards are put in place: independent monitoring of detention camps, the presence of lawyers at all stages, and the employment doctors who won’t turn a blind eye to human suffering. On Saturday, we were fortunate to hear from Justine Ijeomah, the Director of the Nigerian Human Rights group HURSDEF. A victim of torture himself, Justine offered us a vivid, specific and current account of the on-going atrocities in the country, focusing particularly on the case of Moses Akatugba. Moses, as a young Nigerian school-boy, was arrested by the police at 16. He was accused of mobile phone theft. He was incarcerated. He endured having his fingernails and toenails peeled and ripped off with pliers, and the psychological trauma of repeatedly having to confess to a crime he never committed. Nine years later and he now faces the death penalty. Since the initial arrest, a decade-worth of his life has been ripped brutally from his possession as if living in a world void of all justice, humanity and civilisation. 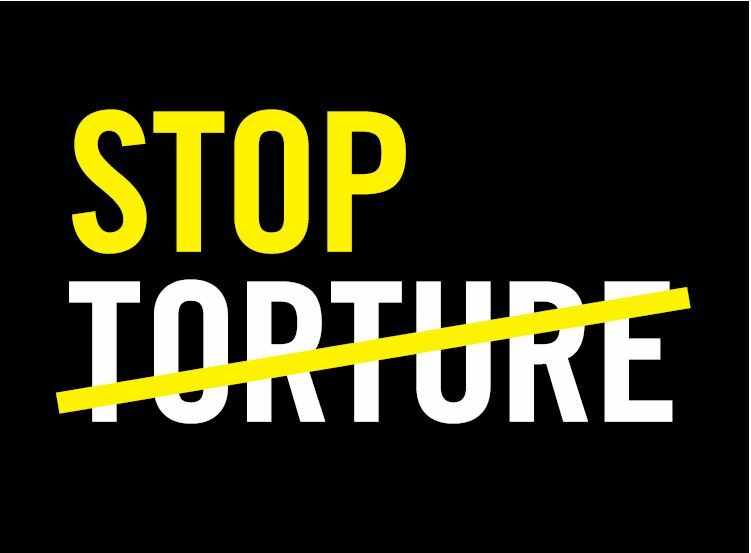 Closer to home, the Stop Torture Campaign is equally pressuring the EU to clamp down on laws concerning the trafficking of torture instruments. Although measures are in place, loopholes still permit individuals and companies to profit from trade in torture equipment: through advertising, the brokering of instruments outside the EU, and the sale of new drugs not yet forbidden by what is still a lengthy, bureaucratic process. The Amnesty Student Conference put us on the streets of London, collecting signatures to be sent to the EU early next year as the current law comes up for review. Amnesty International is an organisation everyone should get informed about, and could certainly get involved with. Oxford University Amnesty Group meets on Mondays at 9 above the TSK in the Oxford Hub. On Thursdays they hold letter writing in The Vaults café between 3 and 4. Visit their website NOW to find out more.